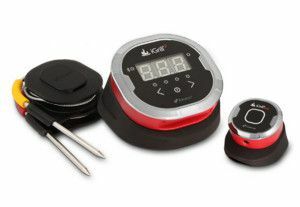 New from Weber are the iGrill bluetooth thermometers! These thermometers making grilling out AND enjoying your company (or the big game) easier than ever before! The Weber iGrill app tracks doneness and temperature progression with the included meat probes, so you can check on your food at any time… from anywhere in the house. If you add the ambient temperature probe, you can now monitor internal grill temperature from your phone as well! What all can the iGrill do? 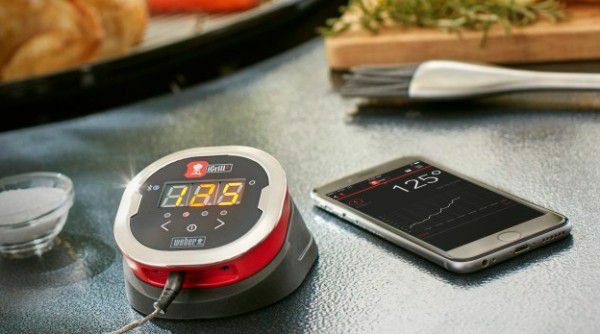 The iGrill is constantly monitoring your grill or food temperatures and sends that information to your phone by way of the iGrill app (available for Apple iPhones or Android phones). You can simply check on current temperatures, set alerts to be prompted when certain temperatures are achieved (ie. medium rare, medium, well done), or you may monitor grill temperature to make sure that you holding proper heat (and be notified if you grill gets too hot or too cool). There are lots of options in terms of features and 3 iGrill models to choose from. Stop by our grilling section to learn more about each model.